Jamier Felton drives toward the basket in a game earlier this year. Felton hit 1,000 career points scored in a game on Dec. 27. Felton scored 42 points in IR’s 85-79 loss to Walkersville (Md.) on Thursday, Dec. 27. Going into the contest, the senior guard needed 33 points to reach the milestone, after scoring 21 in an 80-53 opening-round loss to Snow Hill (Md.) Academy on Wednesday, Dec. 26. The Governor’s Challenge is considered the largest national holiday scholastic basketball tournament, featuring four days of action, with 123 total games and 120 teams. This was the 38th year for the tournament, which showcases both boys’ and girls’ teams from all over the country. The two losses in the tournament dropped IR’s record to 3-5 overall, with the five losses all coming in a row, after starting the season 3-0. Felton and the Indians were back in action on Thursday, Jan. 3, in a home contest against Sussex Academy. The school and basketball program were set to honor Felton for his accomplishment this week, with a ceremony, which was scheduled for after Coastal Point press time. (Coverage of the event can be found on the Coastal Point sports Facebook and Twitter pages. The Indian River girls’ basketball team split their two games in the Governor’s Challenge, with a 40-26 win over Salisbury Christian in the opener and a loss to Boonesboro, 39-12. In their victory, senior Julia Jordan scored 17 points and pulled down 17 rebounds to lead the way for the Indians, which also got a career-high 12 markers from freshman Le’Anya Garrison, with four three-pointers. Jordan also contributed five blocks to the winning effort. IR had jumped out to a 13-2 lead in the first quarter and headed into the halftime intermission holding a 19-12 advantage. Another 14-3 scoring burst in the third quarter proved to be more than enough for the Indians to secure the win. “We continue to improve, and I was so proud of the effort throughout the tournament,” first-year head coach Paul Weisengoff said. “Our defense has been our foundation, and in both games that held true. “Julia Jordan had a magnificent game against Salisbury Christian, and Le’Anya Garrison was super,” he added. “The Meehan sisters also were crucial to our success. They always play hard,” he said of Lauren and Micayla Meehan. In the finale of their tournament play, IR fell to Boonesboro (Md. ), 39-12. Micayla Meehan led the Indians with six points in the contest. 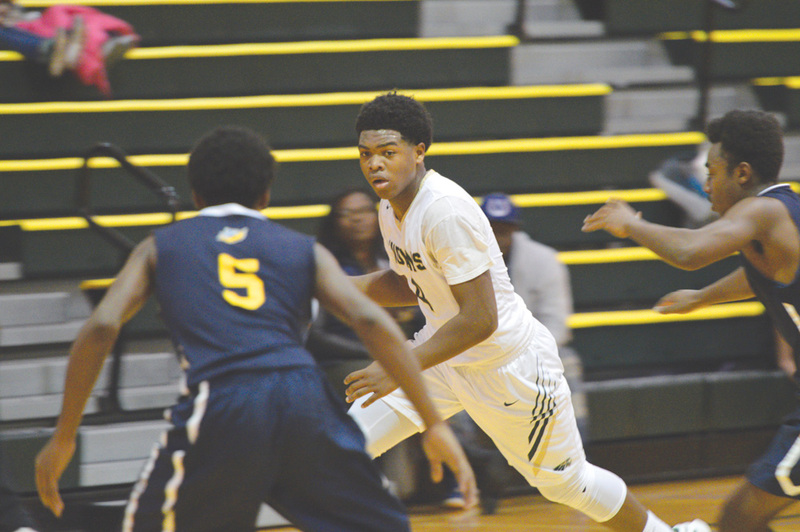 The Indians were set to travel to Sussex Academy for a Henlopen Conference South Division contest against the Seahawks on Thursday, Jan. 3, (after Coastal Point press time). Results from the game will be found on the Coastal Point sports Facebook and Twitter pages.